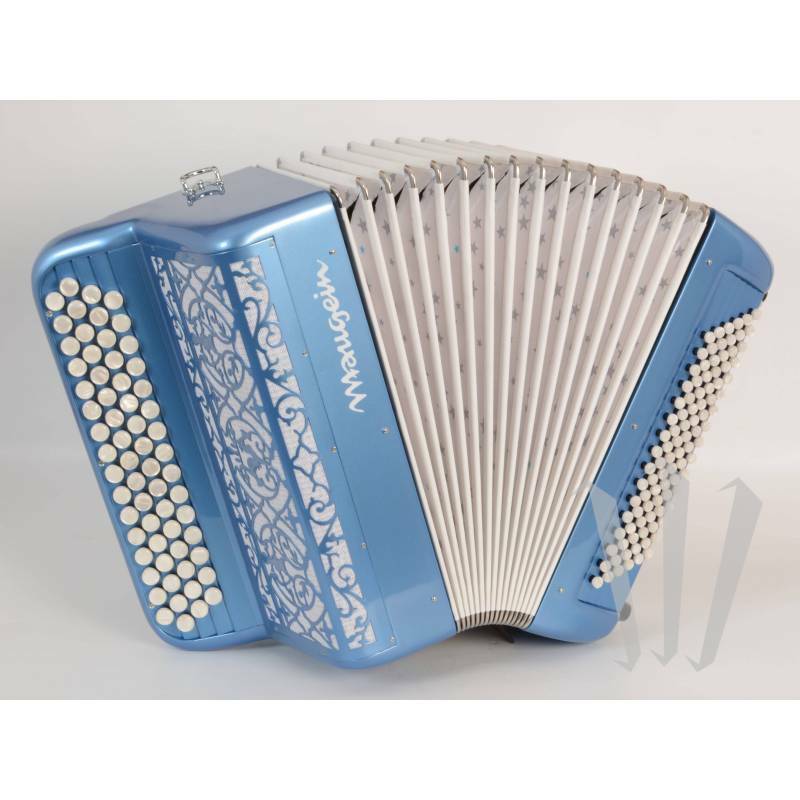 The Amusette 96 model from Maugein has set a world standard for musette accordions. 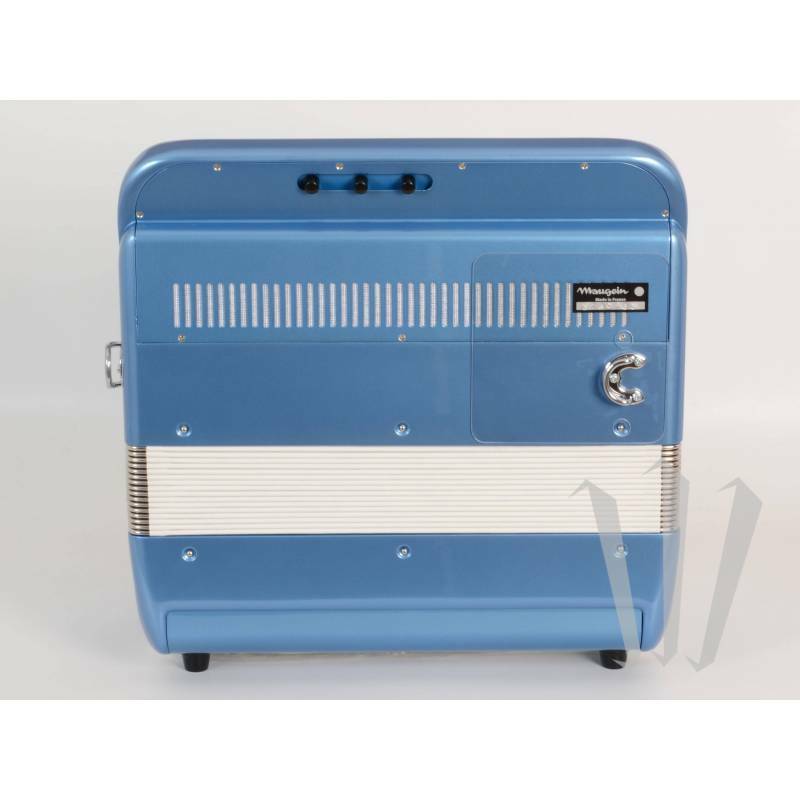 The Amusette is a compact model capable of producing an explosive sound. New models are fitted with handmade reeds and boast exceptional dynamics. A unique finish endows each Amusette with a look of its own. Pictures : Model in stock - Comes with shoulder straps and case. The French accordion factory has always been at the forefront of musette accordion crafting, with musette being deeply rooted in its DNA. 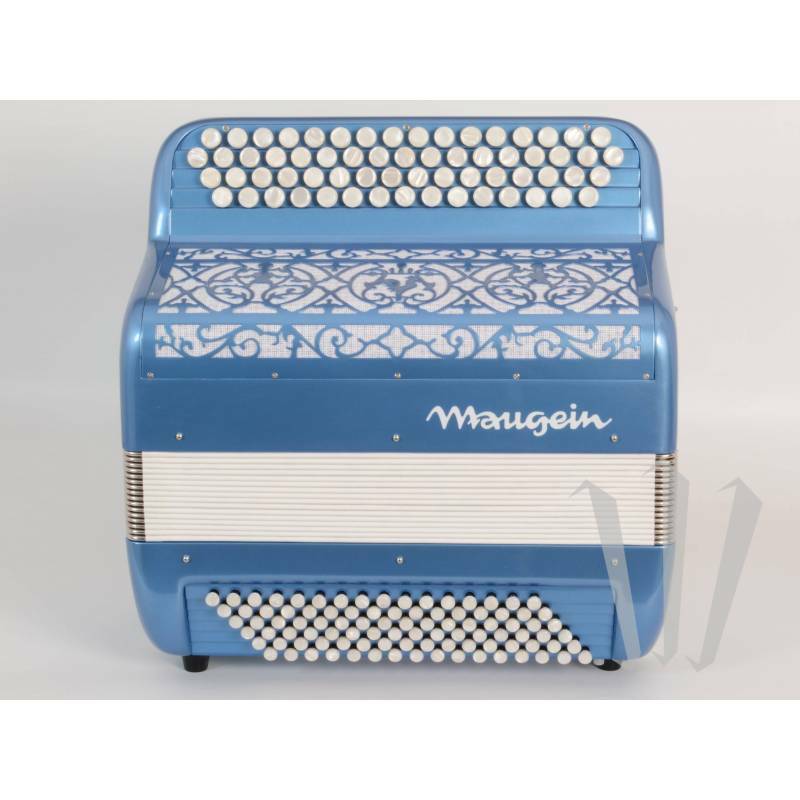 Maugein accordions are still produced in France in the great tradition of musical excellence. The musette music genre is inextricably linked to Maugein, especially to its legendary Amusette 96 bass model.